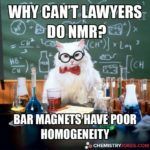 Why Can’t Lawyers Do NMR? A. Bar magnets have poor homogeneity. 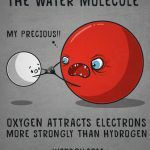 NMR spectroscopy, or nuclear magnetic resonance spectroscopy, is a method of research used to define the physical and chemical properties of atomic nuclei. Bar magnets are a type of magnet, and for this joke, the reference to lawyers alludes to the legal term “bar”, which is the name of their professional association and examination for licensure. 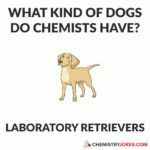 Chemists work in laboratories. Labrador retrievers are a popular dog breed, hence, “laboratory retrievers”. Amphetamine is a synthetic drug with the chemical composition C9H13N. 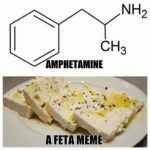 "A feta meme" is a humorous image of feta cheese that can be rapidly spread throughout the Internet. 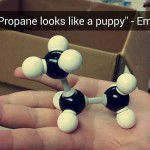 What Did The Bartender Say When Oxygen, Hydrogen, Sulfur, Sodium And Phosphorous Walked Into His Bar? Now eat your Pb and jelly sandwich. Instead of a peanut butter (Pb) and jelly sandwich, the joke refers to lead, which is denoted by Pb on the periodic table of elements. 1 pair included per order. 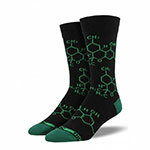 THC, or tetrahydrocannabinol, is the chemical responsible for most of marijuana's psychological effects. What Kind Of Fish Is Made Out Of 2 Sodium Atoms? The periodic symbol for sodium is Na. 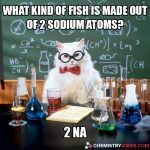 Two sodium atoms would be 2 Na or “tuna”. The man seeking help for his chemistry test is asking the other man to help him identify elements and compounds by their abbreviations. The two are bantering back and forth, the first man oblivious to the fact that the second is giving him actual answers. 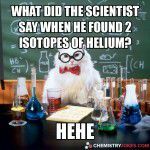 The periodic symbol for helium is He. Two would be HeHe, which is also the sound of a chuckle. 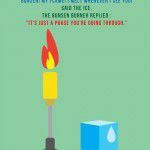 A Bunsen burner is a tool that produces a gas flame, a source of heat. When ice is exposed to heat, it melts and becomes water, changing phases or states. The three “phases” of water consist of steam (gas), water (liquid), and ice (solid). 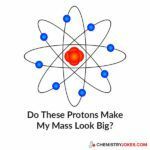 Do These Protons Make My Mass Look Big?